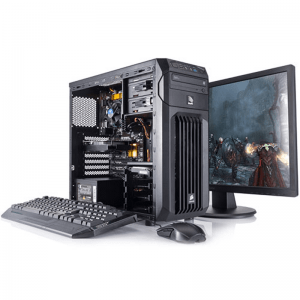 Cougar Extreme offer full home PC’s to the latest Gaming Rigs for next day delivery. Do you want more power for your money, then you have arrived at the right place, here at Cougar Extreme we’ve designed our configuration pages so that you can build some of the most powerful systems on the market. We use components from all the market leaders in the industry. Our gaming PCs deliver superior all-around performance and reliability, every day. With Cougar Extreme you can add more power to your build. Our ethos is built on delivery more value for money and power to our customers. Now you can configure your own high performance gaming rig with just a few clicks. Each system submitted for ordering is subject to our technician’s overview for complete peace of mind that the components you have put together give you the best performance and value for money. Your perfect Upgrade Kit is just a few simple steps away.